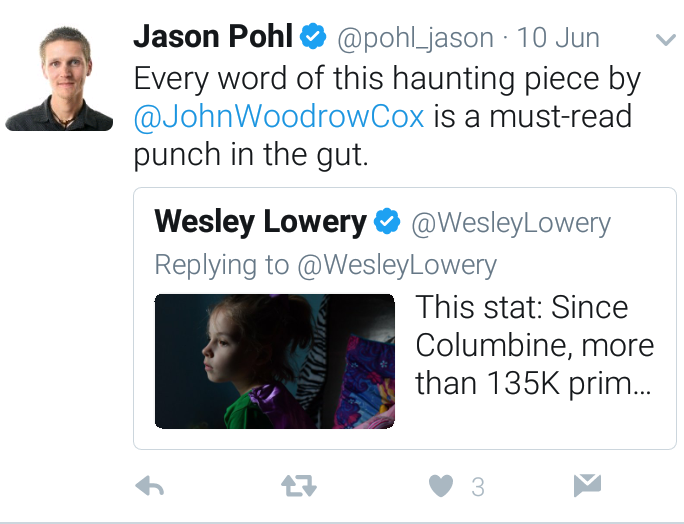 Jason Pohl, Part 3: Wrong. Try Again. 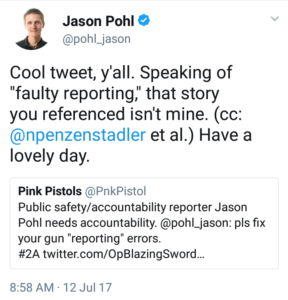 We’re still awaiting Jason Pohl’s corrections regarding gun stats. Recap: 7/11/17 I made this post, pointing out that Pohl’s remarks were based in lies. 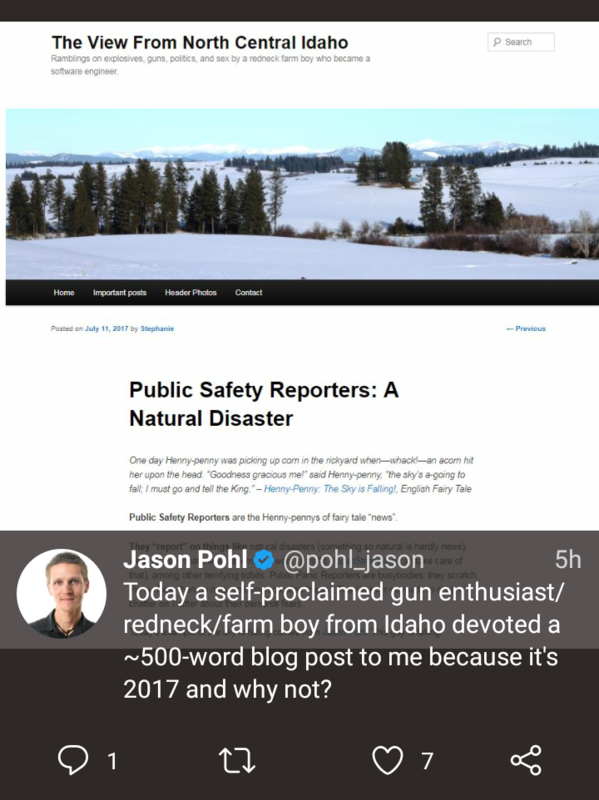 Jason Pohl made no effort to correct his errors, but was overtaken with a bad case of #GunCog, poking fun at this blog’s founder, Joe Huffman. Yesterday I corrected Pohl, explaining that I’m not Joe Huffman, not a boy, etc. Reporter Jason Pohl tries to pohl a fast one. Jason, just fix it. Say you were incorrect. Recognize that you were wrong there and elsewhere. How are readers supposed to trust you on any topic, if you can’t admit your most glaring errors about guns? Today you made darn sure to tweet about your ability create spreadsheets. Yawn. Your visual display of rows n’ columns doesn’t free you from admitting your wrongs. If anything, it demonstrates you’re able to read data and admit what’s right. Jason Pohl Part 2: Incorrect. When presented with facts, anti-gun people often choose to remain in a state of denial, rather than be open to a new perspective. This often results in their violent rages of yelling, name-calling, and/or throwing a tantrum. #GunCog is basically anti-gun brain fog. By choice. – It’s me (guest blogger Stephanie) who wrote yesterday’s essay. – I’m not a boy. – I’m not a gun enthusiast. – I’m a gun rights (self-defense) enthusiast. – The reason for my post was to hold a reporter – you – accountable for dishonesty. Jason, you can do better than this. Correct your reporting errors. From yesterday. And the day before yesterday. And the days, and days, and days before yesterday. Public Safety Reporters are the Henny-pennys of fairy tale “news”. They “report” on things like natural disasters (something so natural is hardly news), weather (isn’t that the weatherman’s work? ), traffic (OpenStreetMap can take care of that), among other terrifying tidbits. Public Panic Reporters are busybodies: they scratch the surface, then go nuts, spewing so-called “news”. They’re ever-so-ready to chirp n’ chatter on Twitter about their personal fears. Today’s example of the sky is falling comes from Jason Pohl. This guy is falling. Devastating lies from Reporter Jason Pohl of the Coloradoan (soon to be working for Arizona Republic). Lies, lies, lies. 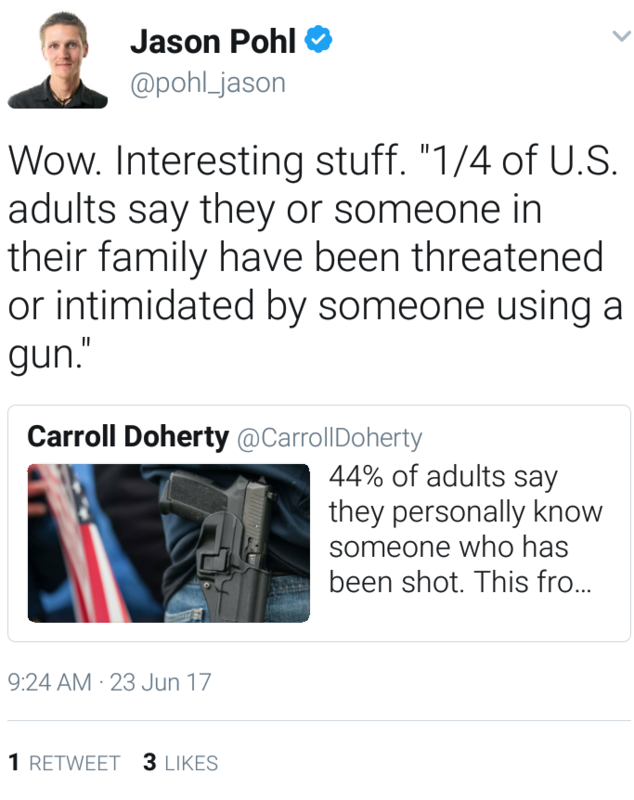 Jason, how much time did you spend researching your bosses’ childish numbers on kids and guns? Please, before you go writing about the topic of firearms, I beg of you: utilize gun truths at GunFacts.info. All it takes is a quick click. The truth is out there. 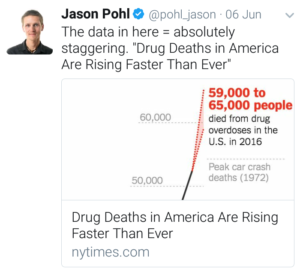 A haunting tweet by Jason Pohl, filled with lies. He needs to read GunFacts.info. “I do not,” say readers of this blog, including Foxy-woxy, Ducky-daddles, Turkey-lurkey. Yes, that was a loaded question, with a charged answer. I already know the vast majority of this blog’s viewers are critical thinkers who question everything, gobbling up accurate facts n’ stats. Y’all exited The Matrix long ago. Jason: I’m not picking on you. There are so many Henny Pennys out there, it’s hard to choose who to expose. Your “work” happened to roll across my news desk. I’m sure you’re not all that bad. I’m focused on setting the story straight for firearms facts. I’ll leave it to the rest of the universe to comb through your other stories/topics. Wow. Interesting lies. 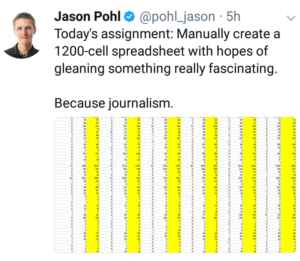 Reporter Jason Pohl needs to find gun truths at GunFacts.info. Yet I’m solidly skeptical of your remaining “news” stories, wondering what’s fairy tale vs. fact. Things look bleak. Are you a Brothers Grimm? Or an Adam Ruins Everything? I rally for the latter. Perhaps there’s hope for the past articles you’ve composed. I dunno. Maybe nope. Yes? Please seize the moment. 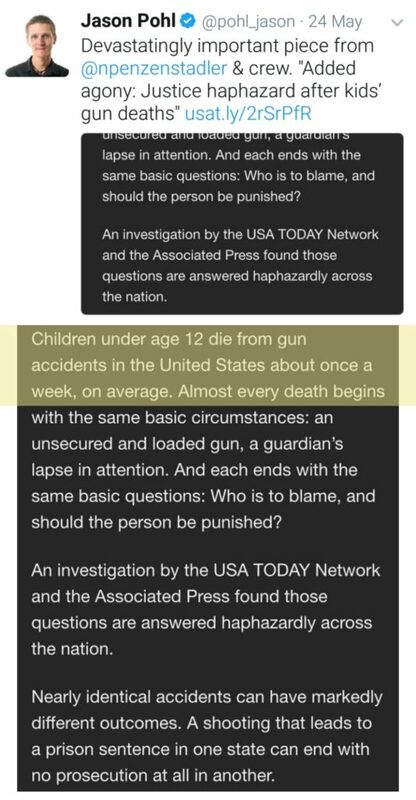 Think twice, before pouncing to post lies, regurgitated by USA Today, who eats up numbers from skewed anti-gun groups like Everytown for Gun Control and The Brady Bunch & Co. Above all, Jason Pohl, stay classy. 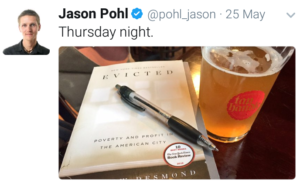 Jason Pohl enjoys drinking beer, a drug. Jason Pohl finds this data to be staggering, even if the graph’s sourced by New York Times. 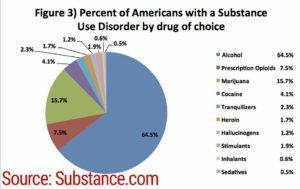 Alcohol is the drug of choice for 64.5% of Americans with a Substance Use Disorder, according to this graph that Jason Pohl didn’t tweet about.